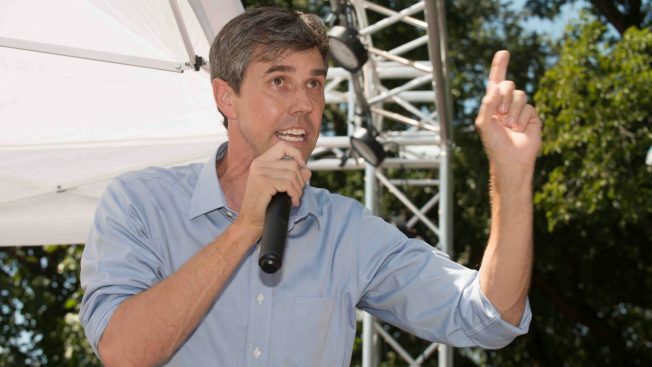 Harmony Korine's "The Beach Bum," Olivia Wilde's directorial debut and a documentary on the breakout campaign of Texas politician Beto O'Rourke will premiere at the annual South by Southwest Film Festival. The Austin-based festival announced the lineup to its 26th edition Wednesday after previously revealing that Jordan Peele's "Us" will open the festival on March 8. Among the selections are the latest from "Spring Breakers" director Korine, starring Matthew McConaughey, and Wilde's "Booksmart," about graduating high-schoolers determined to cram four years of fun into one night. Also set to premiere at SXSW: David Modigliani's behind-the-scenes portrait of Rourke's campaign to unseat Sen.
Ted Cruz and John Lee Hancock's Bonnie and Clyde manhunt drama "The Highwaymen," with Kevin Costner and Woody Harrelson.